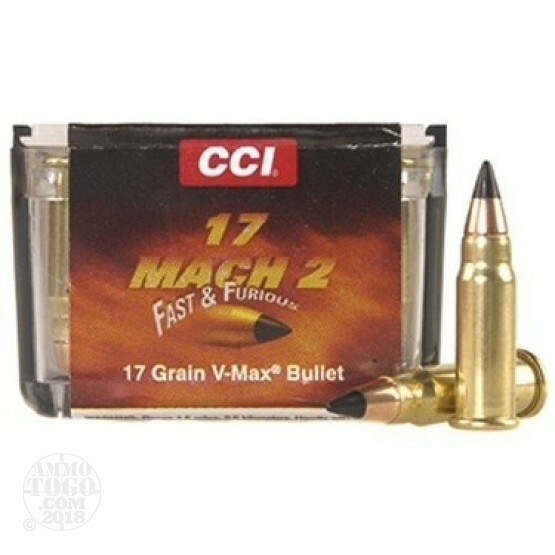 This is .17 Mach 2 CCI 17gr. V-Max Polymer Tip Ammo. The polymer-tipped bullet is very accurate and consistently achieves rapid fragmentation at all practical varmint shooting velocities. This ammo comes packed in 50rd. boxes.